For most pet dogs meal time isn’t very challenging time of the day. Typically owners only put the food bowl down and leave them to it. If this suits you and your dog that’s absolutely fine, but they would without a doubt not have been served food in this way in the wild. Instead they would have had to scavenge and hunt for their meals, keeping both mind and body active. 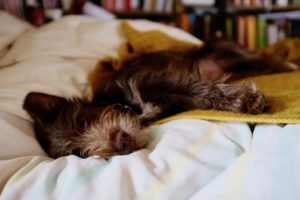 If you feel like you would like to challenge your dog and enrich their daily routine, then making some changes to their meal times can be a good start. Adding more mental stimulation to your dog’s life can have several benefits. It keeps them busy and tires them out in a similar way to a long walk. Many dog owners forget about challenging their dogs mentally, and when they encounter problems with boredom and linked behavioral issues like chewing, pacing, jumping and barking, they just presume they need to increase the physical exercise. This helps, but it doesn’t satisfy your dog’s hunger for mental stimulation. Mentally stimulated dogs are not as hyperactive, and they tend to adapt more easily to stress. 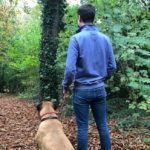 This is useful if you’ve got a very worried pup who shows aggression towards other dogs walking past the house, struggles with separation anxiety or gets stressed during thunderstorms or fireworks. 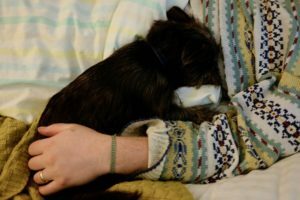 Brain games are therefore a brilliant way of tiring your dog out for the evening, or before you leave for work in the morning. By combining this with their normal feeding time, it won’t take much longer than normal, and your dog will love the extra challenge. Additionally you don’t have to worry about giving your dog too many treats as they are rewarded with food they would have eaten anyway. 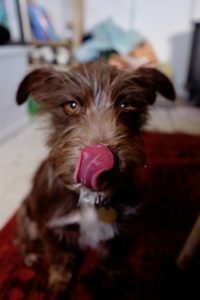 So what are some fun ways of mentally stimulating your dog during meal times? The aim is that it should take your dog 10-15 minutes to finish their food. Make sure you supervise your dog the first few times you’re trying a new way of feeding. Our first tip is nose work. Using their nose comes naturally to dogs, and searching for their food will definitely add stimulation to their daily routine. Scatter the food in the garden so that your dog will have to sniff around to find it. You can also do this indoors, but it might be good to choose a room that’s easy to clean and where the pieces of food won’t get stuck under furniture. If you want to make it even more challenging you can hide little heaps of food under a bush, on a window sill or behind some flower pots. If your dog doesn’t get the game, start with something that smells a bit more than their normal dry food. Our second suggestion is puzzles and food dispensing toys. The Classic Kong is the most well known food dispensing toy, but you can also find treat balls and complicated puzzles that provide your dog with a harder challenge before they are rewarded with food. The idea with most of these is that your dog will have to move the toy around the floor or press certain parts of the toy to make the food fall out. Dogs absolutely love this, and as they get rewarded again and again it can keep them entertained for hours. If you don’t want to buy toys you can make some yourself. Try putting the food in a cereal box and taping it shut, in a toilet roll with folded sides, or in a plastic bottle with some holes cut out where the food can fall out. 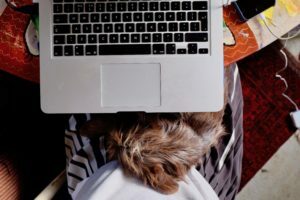 This can get a bit messy, and definitely noisy, but it’s worth it when you see your dog running around trying to get into the box, tail wagging with excitement. You can also use mealtime as an opportunity to practice tricks and teach your dog new ones. Don’t ask your dog to do the same tricks every meal time, as it will just become a part of the routine, and not challenging or mentally stimulating. 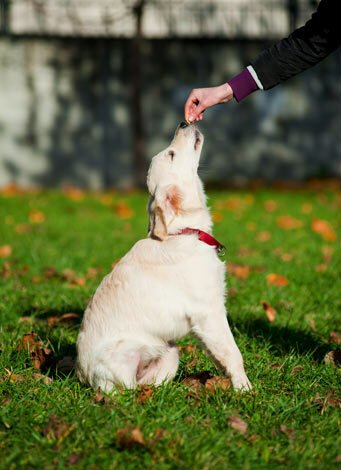 By using this time for training you are able to give your dog more than just the one treat at a time, as it’s the food he or she is supposed to eat anyway. This will form a stronger positive association, and your dog might learn faster. Another thing you can do to change the daily routine is to change the texture of the food. If your dog normally gets wet food, try freezing it into little discs or cubes that they will love crunching on. 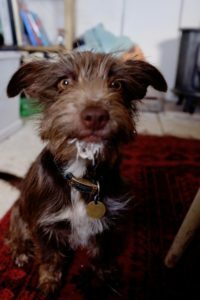 If your dog gets dry food you can mush it up with a bit of yoghurt or water. 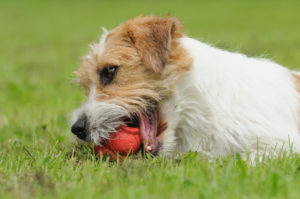 It’s all about novelty and enriching your dog’s daily routine! 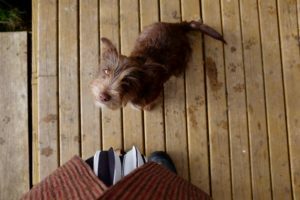 You’ve seen it on some TV programmes or driven past small-holdings and seen canines and chooks living in harmony. Maybe they are a working dog? Maybe they are a family dog? How do they do it? We have put together 7 expert tips to help you introduce your new dog to a flock of chickens. Our canine companions, on the whole, are super intelligent and trainable, providing we know how they learn and what we need to do to train them. Introducing them to our chooks can be done and co-habiting harmony does exist. It’s through this small thing we call desensitization. Stay with us for a short Psych 101 and we promise it’ll be worth it. Desensitization is a process where, through graded exposure, an emotional response is diminished and adapted to a specific stimulus. Now, what the heck does that mean I hear you yell? In short, you expose your dog to your chooks, from a distance. As he behaves how you expect him to, you gradually move him closer to the chooks. You eventually get to the stage, that through the gradual exposure, he’s not that interested in the chooks after all. His emotional response has diminished, and he has adapted which results in a calm response. Start with your chooks in their coop or a fenced in area. Keep your dog on leash and feed him treats, providing he is ignoring the chooks. If he is paying too much attention to them, move to a greater distance. The aim is to find a distance where he is not having any emotional response towards them. 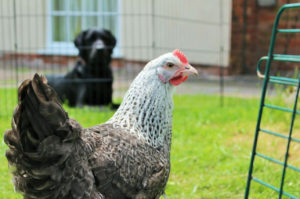 Providing your dog is ignoring the chooks at a certain distance, you can move gradually closer to them. Say you start at 50 feet away, slowly reduce to 45 feet, 40 feet and so on. Continue to praise and reward him for ignoring them. Remember, you want his emotional response to diminish. Keep training sessions short, you don’t want to over tire your dog. Some dogs get hyper-aroused just by being over-tired. You’ve finally made it to near the chicken coop or fence, providing he is still pretty chilled out in ignorance of the chooks, ask him to sit next to the fence or coop. Praise and reward. If he behaves how you expect him to, lengthen the leash, so he can move around the border of the coop or fence, he can sniff and explore. If he’s calm, the chooks may even come over to investigate. Stay calm. If he starts getting excited or lunges/barks at them, remove him to a safe distance where he will ignore them again. You may need to do this a few times. What he learns is that to be around the chooks, I must stay calm. If your chooks will stay in a coop or fenced area, this may be where you spend the time repeating the behaviour and praising and rewarding. You may sit with him with a chew or just work on some commands. Again, the aim is to encourage him to ignore the chooks. 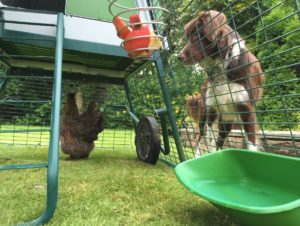 If you plan on having free range chickens, and canine and chooks will be mingling daily, read on. When you feel confident that your dog has so far, happily ignored the chooks and not shown any aggression or heightened arousal towards them, you can let them out of their coop/area to roam freely. Keep your dog on his leash. Ask him to sit or lay down if this makes you feel more comfortable. As the chooks are roaming, providing your dog shows little interest, praise and reward him. Again, you may want to give him a chew or even a slow feeding puzzle game. He just needs to learn than he can co-exist with the chickens without interacting with them a great deal. You may have to spend a significant amount of time working through these steps, but done in the right way, it will be worth it. Whilst on leash you can walk him through the chooks, he may sniff, they may also show interest too. The only behaviour you don’t want to see is aggression, lunging or chasing. If this happens, go straight back to beginning and work on the gradual exposure again. The most nerve-wracking part will likely be when you feel he is ready to be let off leash to mingle on his own. Again, take your time. 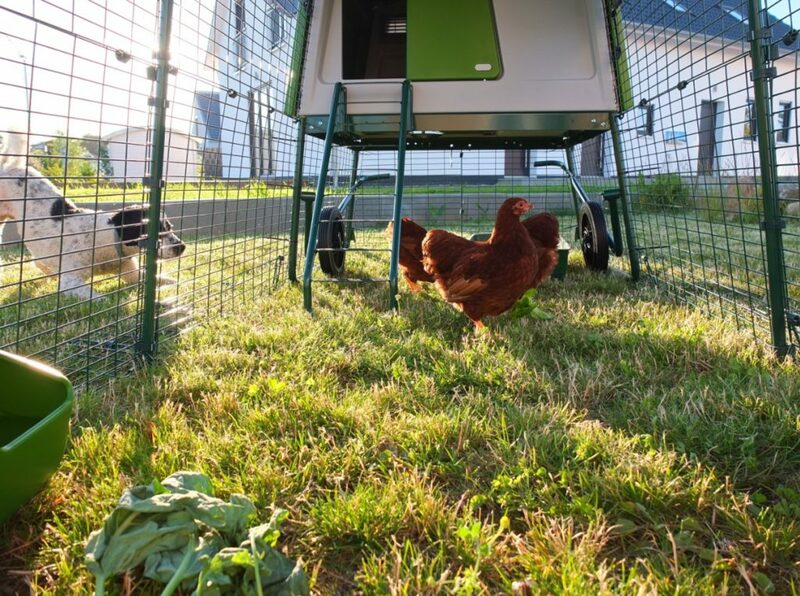 You may pop the chickens back in the coop and let him explore off leash around a fence. You may prefer to put him on a long line (50ft) when in with the free-range chooks. This way, he feels like he has more freedom, but you still have control if it goes pear shaped. Be realistic though, some dogs just never quite make it to being able to mingle unsupervised with chooks, so watch the behaviour of your dog and make the call. Chooks to dogs are super-interesting, like most things. The long and the short of it, successful introductions mean the chooks are no longer that interesting and your dog learns that to be around them he simply just needs to be calm. Arm yourself with some high value treats, chews and any other slow feeder puzzles; start from a distance and encourage the behaviour you want to see. Praise and reward when you do. Grade the exposure. Always stay calm and in control and don’t be afraid of going back to square one if things don’t go as you’d hoped. 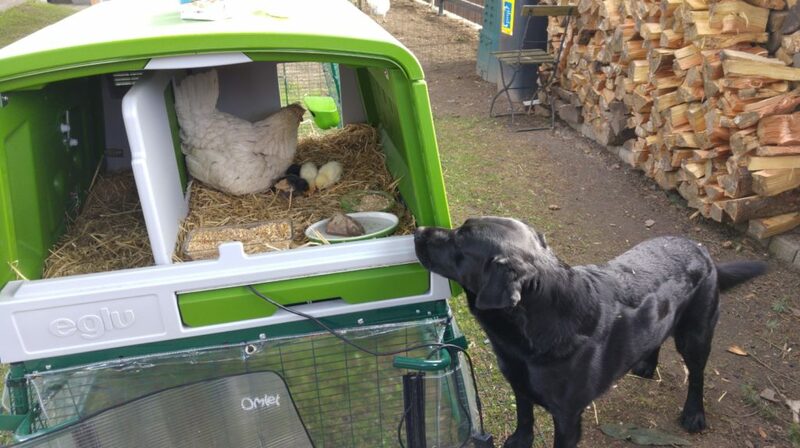 It may take time, but it will be worth it when you have canine and chooks living in harmony. 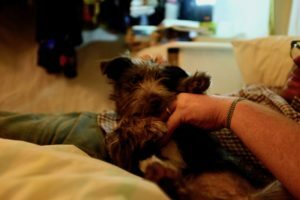 This post was written by John Wood at All Things Dogs. 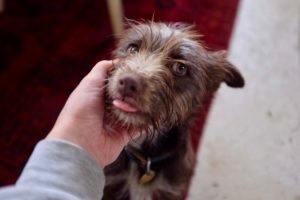 In this post we’re introducing Esme, the latest addition to the Omlet HQ Pet family. 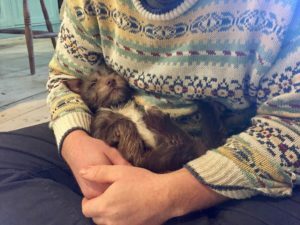 This new puppy colleague has reminded us all of the crazy things we say to or about our dogs. Only truly mad dog parents will be guilty of saying these things…and also happily admit to it. If you think of someone while reading these, make sure you name and shame them on social media using #OmletPets. For Valentine’s Day we wanted to find out how much love you have for your four legged friends vs the affection you have for your partner? We surveyed over 400 dog owners. The results are in and they make an interesting, yet not surprising read! 78% expressed that their dog is more attentive than their partner! 75% said their dog brings out their best side more than their partner does! Check out the infographic below to see all the results! We all have our bolt holes – that little space in the home with our personal stamp on it. It might be a bedroom, a hot bath, a study, a garden shed, or just a comfy chair. The important thing is that it comes with an unwritten message: Do Not Disturb. Dogs are no different. When the stress levels rise, or when the busy day demands some down time, they need a den, a cosy corner that they can call their own. Many dog owners don’t consider buying a crate. 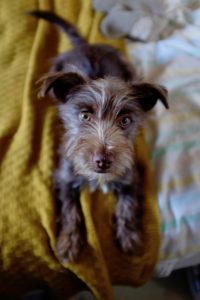 This is a missed opportunity, as crate training sets up a young dog for life. It gives your pet an appropriate sense of territory and personal space, and speeds up toilet training. A crate also acts as a cosy corner and personal space. It’s important to realise how easily a dog can become uncomfortable in the home. Some are more panicky than others, but all dogs will experience some level of anxiety when unexpected things happen. This can include loud noises, changes in routine or the sudden arrival of strangers. The brains of dogs and humans alike react to undesirable situations by flooding the body with the “fight or flight” stress hormone cortisol. 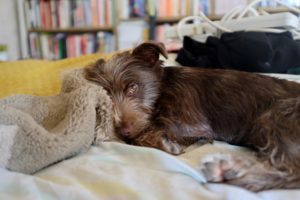 A constant flood of cortisol has a negative effect on an animal’s health; while opting for “fight” rather than “flight” has obvious hazards all dog owners want to avoid. A crate provides the “flight” option – somewhere to run to and escape the source of anxiety. Turning away and avoiding eye contact. The crate alone won’t stop your dog woofing at loud noises and growling at strangers. He will need training sessions too. Without these, he might simply run to the bolt hole and continue to bark. Combined with training and desensitising, though, a crate can be a real life saver. But that doesn’t alter the fact that a great big cage plonked in the living room isn’t necessarily going to blend in with the rest of your décor. It was this tension between the necessity of a crate and its intrinsic ugliness that inspired us to design the Fido Nook. It’s a piece of stylish furniture, complete with a wardrobe section for doggy bits and pieces, into which a crate can be placed. 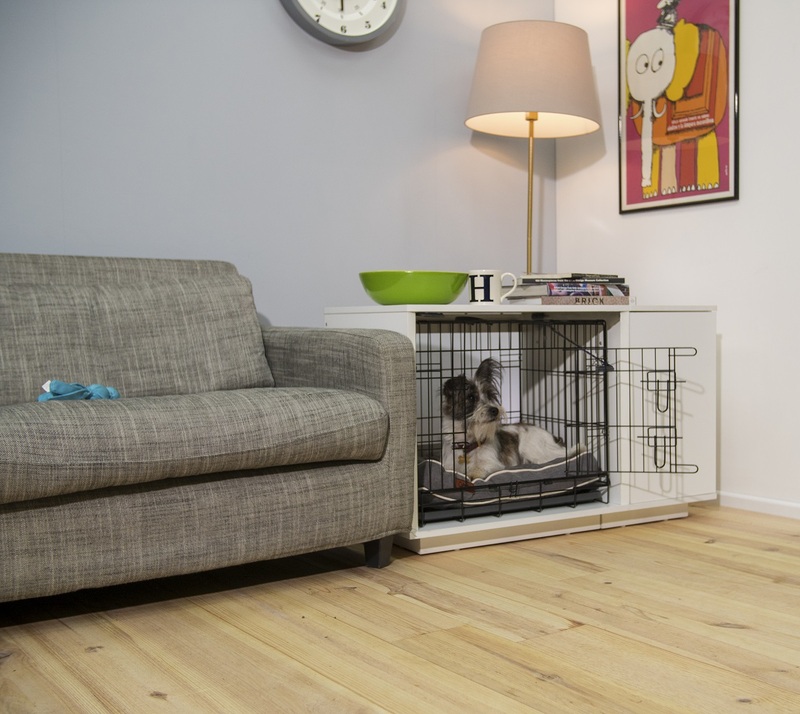 With the crate removed, the Fido Nook is still a lovely piece of furniture, and, more importantly, provides a comfy kennel space – your dog’s own special home within the home. The Fido Nook will de-stress your dog in style. Bolt holes have never looked so good! 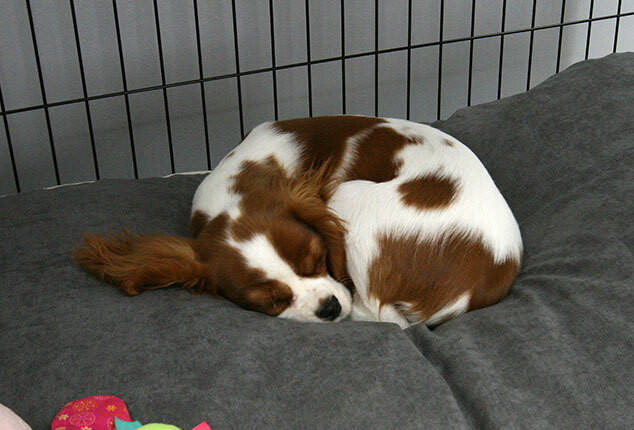 The Fido Studio is perfect when crate training and it so much more than just an indoor dog crate. It’s the perfect compliment to your home and fulfills your dog’s natural instinct to have a den that they can call their own. 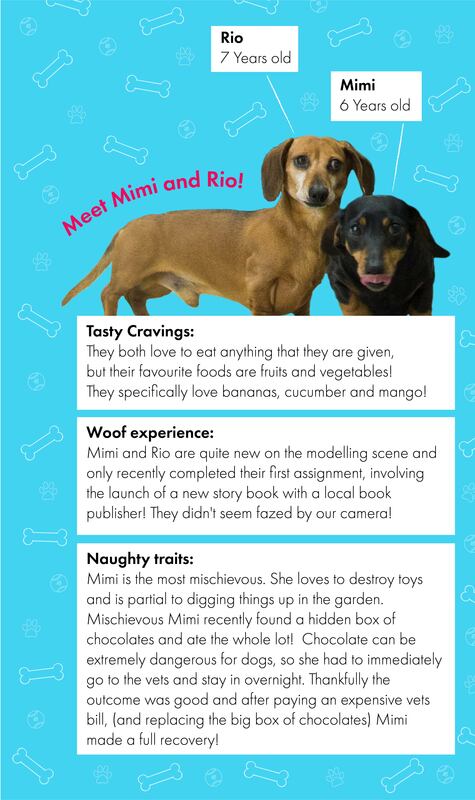 Meet Mimi and Rio – A Mischievous pair! The Fido Studio Dog Crate has arrived & You can Win One! 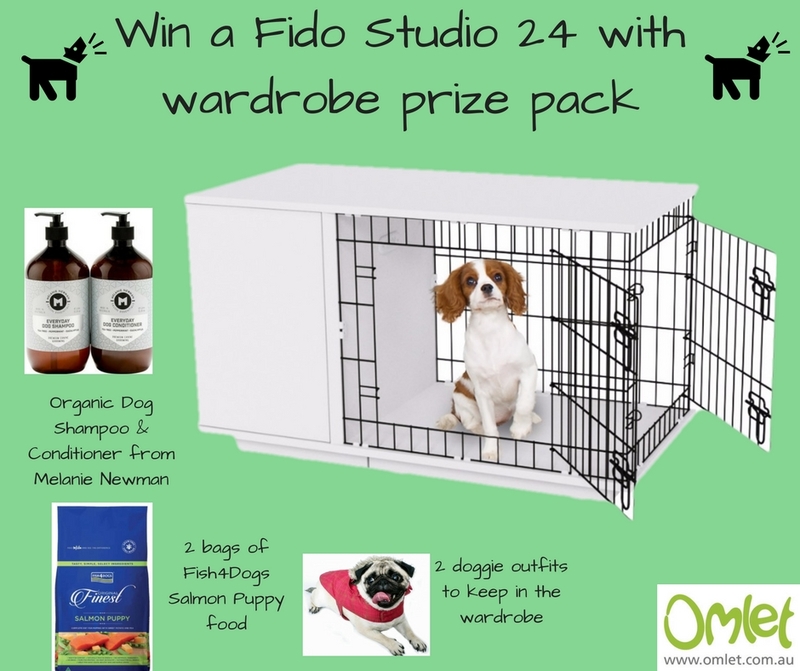 To celebrate the arrival of the new Fido Studio dog crate we have a competition to win a pawsome prize pack worth over $400!!! The new Fido Studio 24 dog crate with wardrobe and bed, as shown. 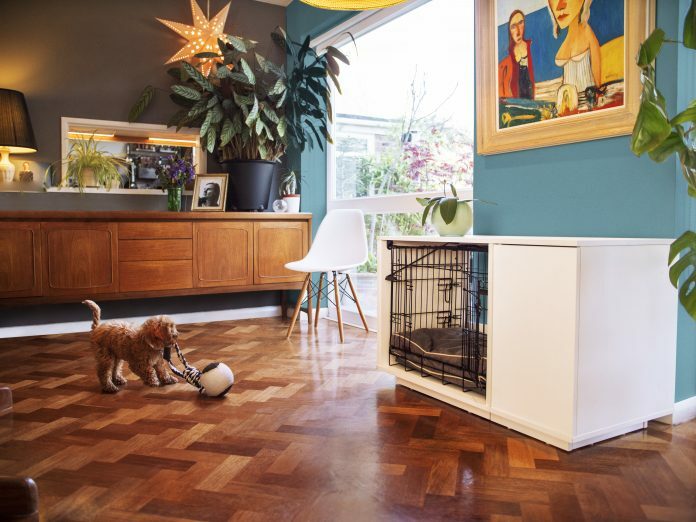 The Fido Studio dog crate is designed like a piece of contemporary furniture, it is more than just an indoor dog crate. It’s the perfect compliment to your home and fulfills your dog’s natural instinct to have a den that they can call their own. The Fido Studio also brilliantly solves the issue of where to store all of your dog’s accessories. The wardrobe is a versatile and incredibly practical solution for storing your dog’s coat, treats, favourite toy and lead all in one handy place. Dog shampoo and conditioner by Melanie Newman Salon Essentials. All the shampoo and conditioners by Melanie Newman Salon Essentials are pH balanced, pet friendly, no SLS or parabens, no petro-chemicals and no synthetic perfumes. 100% pure and natural. Trialled and tested in some of Australia’s leading professional grooming salons. Fish4Dogs Salmon Puppy Food. Fish is great – Protein from fish is easily digested and contains high levels of marine sourced Omega 3 oils helping keep those coats shiny, skin healthy and joints in good condition. 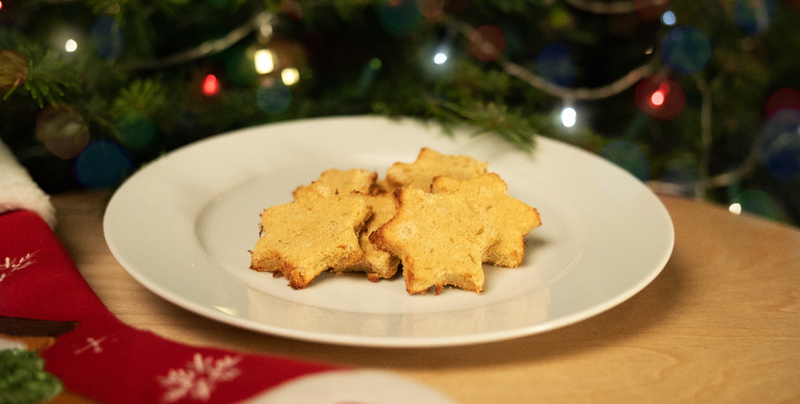 For dogs with sensitive stomachs Fish4Dogs is made with simple ingredients making sure our food is not only tasty but hypoallergenic for your dog too. Fish4Dogs Complete Foods contain no artificial colourings and preservatives and are grain free, making it one of the best dry dog foods on the market. 2 dog clothing outfits to keen him or her warm this winter. Entry: Entrants must be 16 years or over and a resident of Australia. Entry is via the form on the Omlet blog page by answering the set question. A condition of entry is that you will be added to the Omlet Australia email newsletter list. The winner will be drawn at noon on 10th July 2017 at 4/35 Surfview Road, Mona Vale. The prize winner will be chosen based on their answer. The prize winner will be notified by email on 11th July 2017. 1 Prize pack each containing: 1 Fido Studio 24 dog crate with wardrobe & bed (value $274.97), Dog Shampoo and Conditioner from Melanie Newman (value $54.95), 2 1.5 kg bags of Fish4Dogs puppy food (value $49) and 2 dog clothing outfits (value $40). Total prize pack value $418.92. The prize pack will be sent out by mail to the winner only to an Australian address.